I bet you never knew that Springfeild's favorite beer was made in Germany of all places. 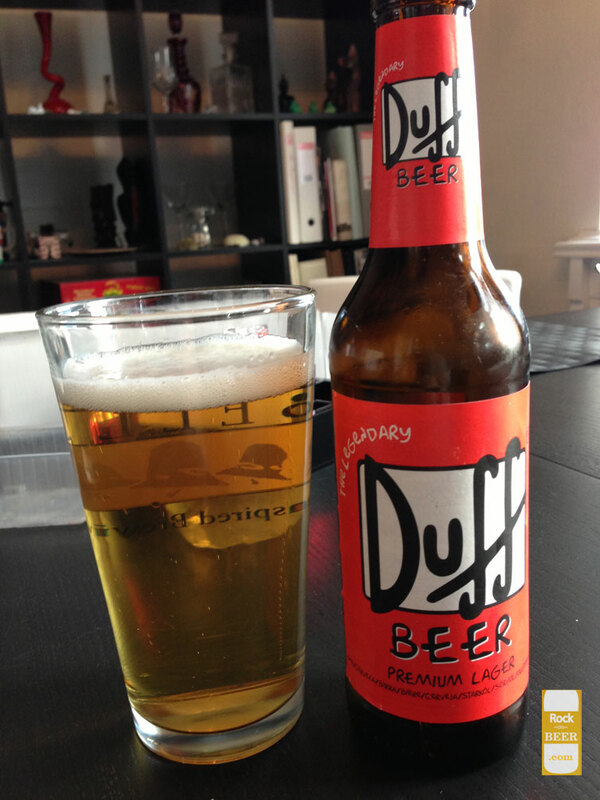 Ok so i have seen this beer countless times in the border shops, I may have even had it at someone's house in the past, like hey look i have duff beer from the simpsons, everyone has a laugh. But now it is time to review it for the site. Pours a golden straw color typical of a pilsner, there was a nice little head that hung around for a few minutes. there is not a lot of smell on this beer, just kind of a typical pilsner smell of vague hops and malts. I was ready for it to taste awful, as it is only a novelty beer after all I was quite surprised that it tasted ok. I dare say it tastes quite a bit better then the big red labelled american beer it is supposed to be parodying in the show. So the taste, really standard cheap German pilsner, malt and corn with a sharp hit of bitterness in the end. It is certainly not a high quality beer but to tell you the truth I have had quite a bit worse. If you see this it is worth buying a cheap bottle just to say you have had a duff. I will not be having anymore unless duffman himself makes me.